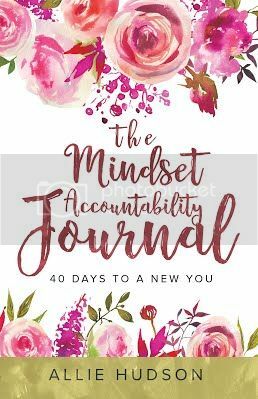 The Mindset Accountability Journal will jump-start you to a life you can enjoy living every day. By establishing incremental daily habits, you will embark on a path to gratitude, self-growth, and fulfillment. · Write every day, even if it is just a small response or a quick idea. Go back and refine ideas that you want to expand on later. · Write in the morning before your mind is filled with the daily distractions. · Look back and read some of your previous entries and continue or refine some of your writings. · Use the things you learn about yourself from your journal to change your daily life. 10 things readers would be surprised to know about me…. I was in the newspaper business for 20 years. I started as a secretary for the Director of the Department and when I left I was the Director of the Department. After being married for 18 years, my husband, Larry, passed away. I later remarried and then lost my husband, Michael, to cancer after three years of marriage. I am the only girl of 6 kids. That’s right, I have five younger brothers. Thank goodness I was the firstborn. I love creating processes to help people live a more fulfilling life. I have never had children, but I am the aunt to 8 nieces and nephews. The youngest is 2 and I love every minute I get to spend with her. I have the best friends in the world. They encourage me and believe in me more than I believe in myself at times. Everyone needs people in their life who remind them that what they are doing is an amazing accomplishment and to believe in themselves. I created this book to meet a need that I had. I saw my life change as I went through the process. I know it will help other people make the changes they want in their lives. I have an amazing mom and dad who never finished elementary school taught have taught themselves to read and write. They have taught me to accomplish things in my life even though other people may not think I am capable. I just want to become the best person I can become in 2019 and beyond. My ultimate goal with this book is to become a speaker and Life Coach who helps other people find their bliss and purpose in life.